Phineas Troutt doesn't have much time left, but a terminal cancer diagnosis won't stop this freelance assassin from getting the job done. First step: tracking down teen runaway Jasmine. After questioning dozens of hookers, pimps, and junkies, impersonating a cop, and calling in a favor from his longtime pal, Lieutenant Jack Daniels, Phineas finds Jasmine and collects his reward. But does Phin have a secret agenda? 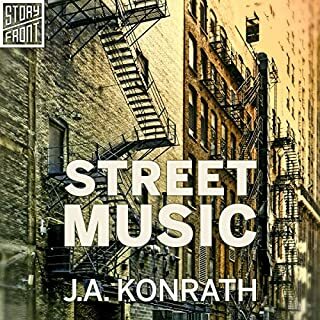 Gritty, hardboiled, and with real heart, this is one of Konrath's most memorable tales. "The Big Guys" - Flash fiction, winner of the Derringer Award. "A Fistful of Cozy" - A satire of the mystery cozy genre. "Cleansing" - An ancient crime of biblical proportions. "Lying Eyes" - Solve it yourself, given the clues. "Perfect Plan" - Another solve it yourself. Don't you remember One Minute Mysteries and Encyclopedia Brown? "Piece of Cake" - Another solve it yourself, originally featured in Woman's World. Who is Ashley Bell? 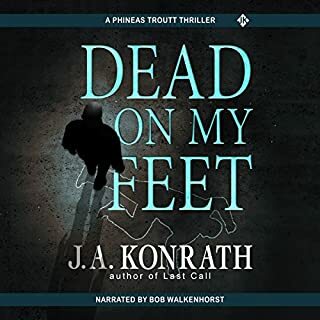 From number-one New York Times best-selling author Dean Koontz comes the must-listen thriller of the year, perfect for listeners of dark psychological suspense and modern classics of mystery and adventure. Brilliantly paced, with an exhilarating heroine and a twisting, ingenious storyline, Ashley Bell is a new milestone in literary suspense from the long-acclaimed master. 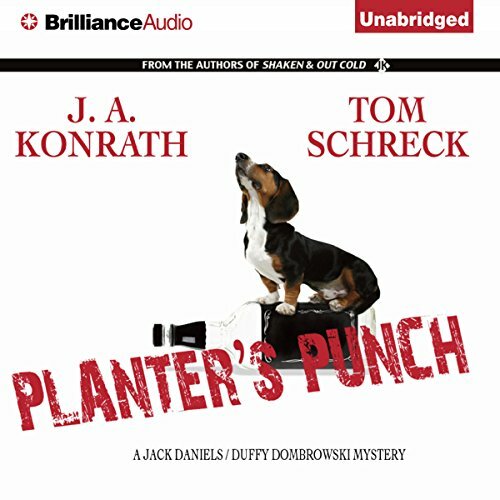 Planter's Punch is a 7500 word novella that features both Jack Daniels and Duffy Dombrowski. Kirkus calls Duffy, "Warmhearted, tough, and funny" and Crimespree Magazine raves, "In the boxing match of life I want Duffy Dombrowski as my ring man." 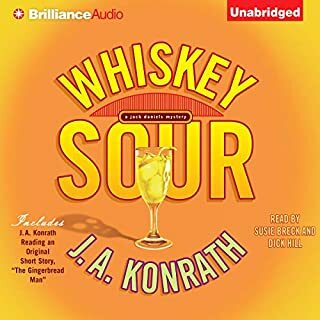 Booklist calls the Jack Daniels series, "A solid success for those who like to mix comedy and grit" and Library Journal calls Konrath, "Not to be missed." ©2009 J.A. 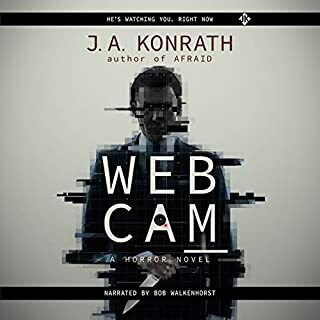 Konrath, Jack Kilborn, Tom Schreck (P)2012 Brilliance Audio, Inc.
Great story that is read well. Would you consider the audio edition of Planter's Punch to be better than the print version? 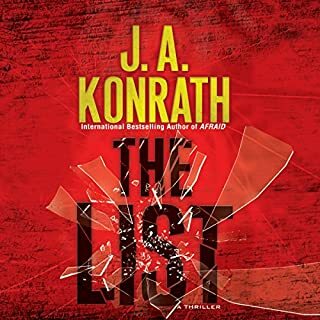 Not better than the print version, but well read to capture the way the story was written with two distinctive voices of the two character narrators. 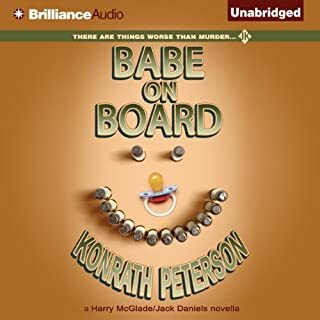 I don't often like audio books, because the reader doesn't always capture the voice of the character the way I hear it in my head when I have read the story. But these two readers did an excellent job of capturing the spirit of the characters in their reading interpretations. They should be used for all Duffy and Jack Daniels books in their respective series. Yes, it is an interesting and fun story. It captures the unique spirit of each of the two series based on these two rich and appealing characters. Which character – as performed by Angela Dawe and Phil Gigante – was your favorite? It's a toss-up because they each did well at their interpretations of characters during their narratives. yes, since it is a short story. I am very pleased and impressed with this version of one of my favorite stories that contains two of my favorite characters. Relentless promotion. It is only cute once. It takes you right out of the story and back into reality. For someone like me, who reads and listens to audiobooks constantly, my books are a chance to step out myself, out of reality for a while. The number of shameless plugs in this book just canceled my entire sense of escapism.